If there’s been anything wrong with the Dodgers’ otherwise near-flawless season so far, it’s only that Vin Scully hasn’t been in the booth to call it. 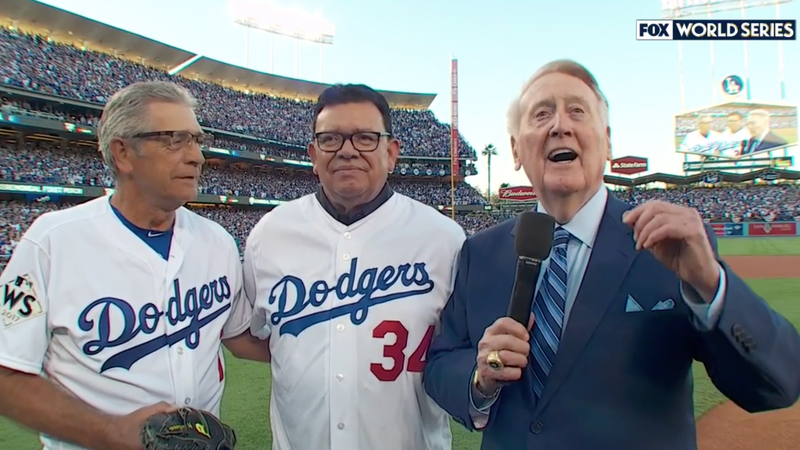 While the legendary announcer is hopefully enjoying his long-deserved retirement, the crowd at Dodger Stadium was understandably thrilled to see him back for a pre-game first-pitch ceremony. Despite popular demand, Scully has said that he wouldn’t want to come out of retirement to call any part of this year’s World Series. Tonight’s ceremony, however, was a pretty cool second-best thing.